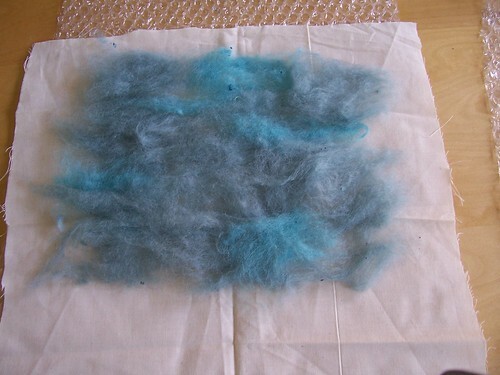 My mum was visiting me last week and on Saturday she showed me how to make felt! …then more and more layers until it was quite thick, with the nicest bits on top. 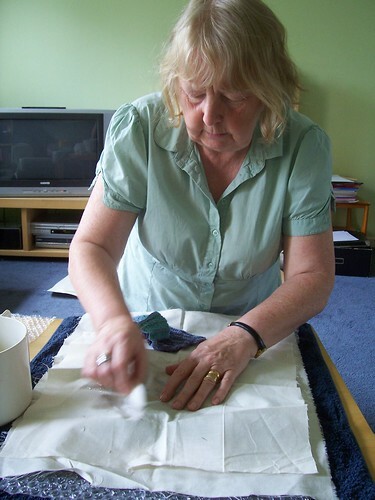 Mum showing me how to dampen the felt with a scrunched up plastic bag. Applying more water! We didn’t have all of the proper equipment to hand so had to cheat a little. 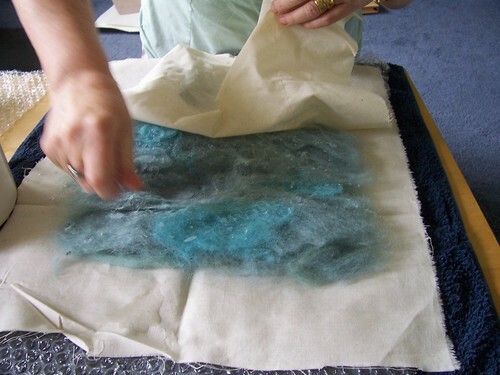 Then it was working the felt with the bubble wrap; by hand and with a rolling pin. 100 times one way then 100 times the other way, then the same on the other side. 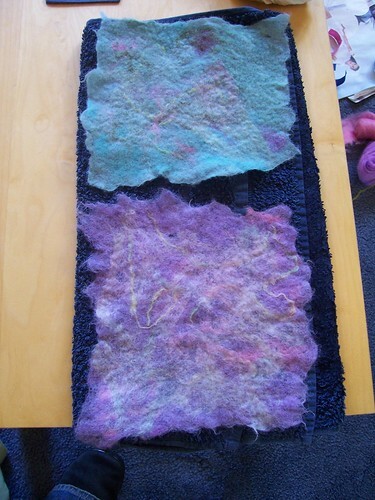 Here is the almost finished piece of felt being ‘shocked’ in hot then cold water in the sink. 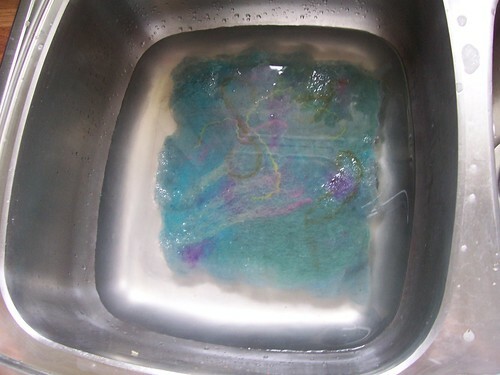 Afterwards I squeezed water out then scrunched it up and threw it in the sink as hard as I could several times. That was fun! 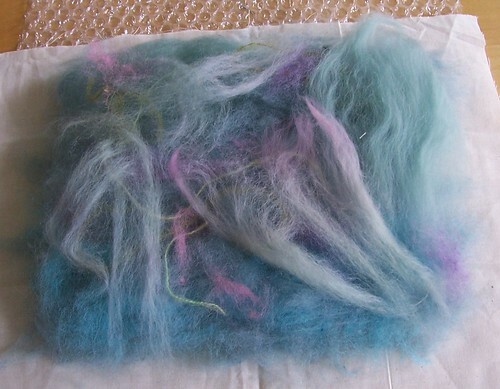 The colours don’t come out very well in this photo, but I was pleased with the results.